During the vitriolic anger growing in the general public towards these groups, the “healthy, alternative, natural” supplement industry is rubbing its greedy little paws together in excitement. Jane: Huzzah Bob! Finally the tides have turned and we shall make millions selling worthless and potentially dangerous powders, pills, and liquids to the masses! They’re screaming for alternative cures! Bob: I match your huzzah Jane, and raise you a hundred huzzahs! Because we’re already making millions off of those ignorant fools. But now, we’re going to make BILLIONS. Jane: Hahahwawrahaha Bob! Good point! Except we’ll look like the good guys the whole time and the stinky FDA can’t do a thing to stop us! Good lord Jane and Bob are evil. But this example is part of the problem with the feelings generally held in regards to western medicine vs. the so-called “alternative medicine” camps. We look at one as being evil and the other as being the good guys. But nothing is ever that simple! Can I just make a logical and fair statement here? Both the pharmaceutical/western medicine folks and supplement industry has evil, money-grubbing people working within their groups, just like they both have good people who honestly want to help and believe in what they do. They both have cures, that I believe, work and they both have potentially dangerous “cures” that don’t work or cause more problems. 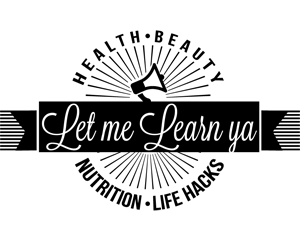 So don’t player hate, educate! The book I highly recommend everyone reads is titled Do You Believe in Magic? 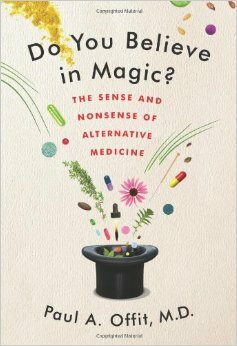 : The Sense and Nonsense of Alternative Medicine, written by Paul A. Offit, M.D. Let me preface this review by admitting that this guy is totally biased. He claims he’s isn’t and that he’s representing a fair view of both sides of the issue, but he ain’t. Sorry I’m not sorry Paul! There were times during my reading, that I threw up my hands in exasperation and thought, “uh, stop being a politician Paul and please represent ALL the facts.” So just a warning, he can be as sneaky as a news source claiming it’s presenting unbiased facts, when in fact, it’s only presenting the facts it wants you to see. Moving past that one complaint of the book, he sheds light on a side of the “health wars” that you don’t normally hear about these days. The side of just how corrupt, dirty, and horrible the “healthy, natural, alternative” supplement industry can be. What I loved about this book is how it effortlessly paints the story of the birth of the supplement industry and how the richest top dogs in the supplement world completely “neutered” the FDA from regulating their products. Why the FDA pushed to regulate supplements in the first place, such as uncovering disgusting warehouse conditions (rats, rat droppings, mold, etc. ), that supplements didn’t actually contain what the companies claimed, and in a lot of cases, that they contained harmful ingredients. How there’s no such thing as “Alternative Medicine.” If it is a medicine and it heals people, it’s just plain ol’ medicine. How sometimes natural supplements and natural alternatives can be just as dangerous as pharmaceutical drugs. How generally there’s hardly any science or valid studies to back the supplement companies’ claims. A man who sold a tea made up of bacteria found in human feces for $125 per quart, claiming it treated cancer. Eventually his medical license was revoked, was fined $10k, and sentenced to four years in prison. A man who sold a “cleansing program”, comprised of fasting, herbal laxatives, and black coffee enemas. Later he was also sentenced to one year in prison for his false claims. How parents have contributed to the death of their children, listening to “witch doctors” who had no understanding of the human body, medicine, or science. Enough about what’s in it, just trust me, you have to check it out. It is easy to read and extremely informative. The author, though a bit biased, works his facts into a compelling story so it’s not as abrasive as reading a history book. This book will help you to gain a better understanding of the pills you’re popping in your mouth. You’ll turn a more wary eye towards your vitamin and supplement choices, able to make better decisions about what companies you can trust and whether you’re wasting your money and/or putting your health at risk. To quote The X-Files, “The Truth is Out There”. You just need to know where to look! Previous articleCheap Oil Blotter Solution!